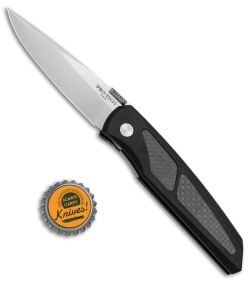 This Protech is a modern update to the classic Harkins ATAC D/A automatic knife. 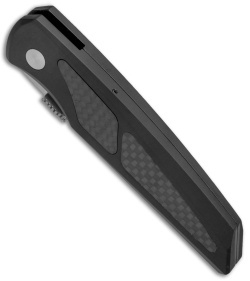 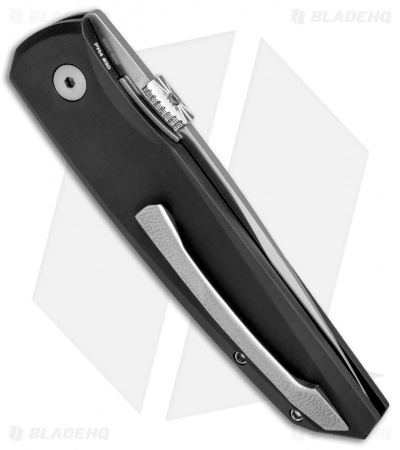 It is outfitted with a black anodized handle, carbon fiber inlays, a custom thumb plate opener, and a stonewashed blade. 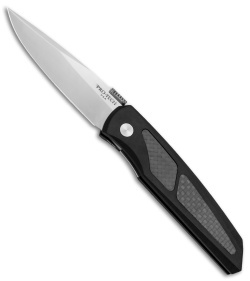 The hidden automatic release is located under the topmost inlay for covert opening action. One impressive update you'll notice instantly is the precision milled titanium pocket clip.